Who Should Be Doing Insurance Predictive Modeling? Actuaries or Statisticians? 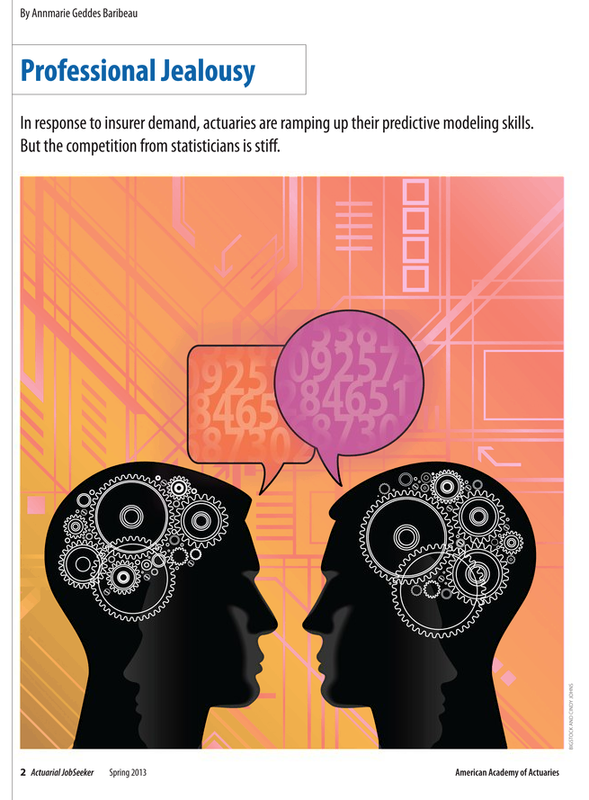 After writing several articles on insurance predictive modeling, I noticed that there were as many statisticians doing predictive modeling as actuaries. Since more statisticians are being hired in the insurance industry, this could pose a threat to insurance actuaries. Not only that, how could a carrier, self-insured employer, third party administrator, etc., know which profession is best qualified to develop the models? What does each profession bring to the table? You’ll find the answers to these and other questions in my article, “Professional Jealousy,” which is the cover story for Contingencies’s Job Seeker supplement. It is an honor that the American Academy of Actuaries allowed me to handle this sensitive subject. Also, please check out my Contingencies magazine article, “The Next Great Thing in Predictive Modeling” which is probably the first comprehensive coverage of the next logical step: Integrative Predictive Modeling. For further reading, please check out my compendium on insurance predictive modeling, by clicking on the “predictive modeling” section at the bottom of this blog post! Enjoy!